Aulos making only recorders for 54 years. Music Education is an important part of every child’s learning experience. Why settle for less than Aulos? The Aulos philosophy is that quality does matter and getting off on the right foot can sometimes mean the difference between a child enjoying and excelling or being frustrated and thus uninterested. 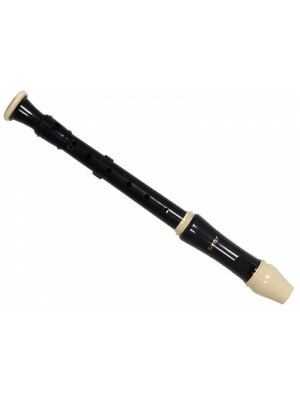 Aulos recorders are made using an almost indestructible ABS plastic which makes them perfect for youth education and use. ﻿3 piece Descant Recorder by Aulos. The best selling quality recorder in the world! 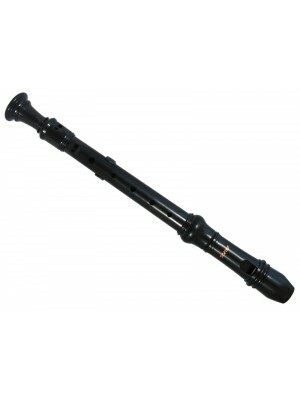 Highly suited t..
﻿3 piece all black descant recorder from Aulos Includes cleaning rod, thumb rest, carrying bag and ..